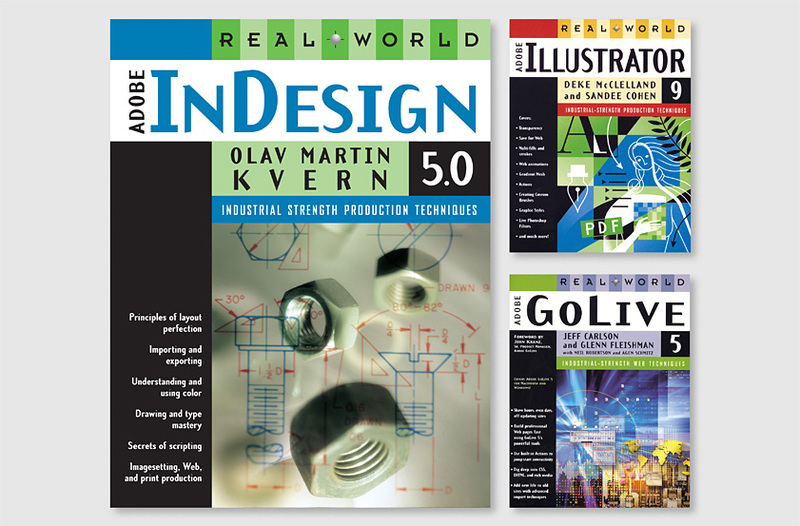 The Real World Series, published by Peachpit Press, are comprehensive, “under-the-hood” reference guides providing time-saving tips and advanced “industrial-strength” production techniques for working professionals in digital graphics and Web development. Our solution uses a distinctive checkerboard series logo incorporating a printer’s cropmark and globe, representing digital graphics and the Web. Each cover is distinguished by a different color combination. The modular organization of bulleted points, title, author, version number, and descriptive illustration enables each book to be easily updated throughout the series.